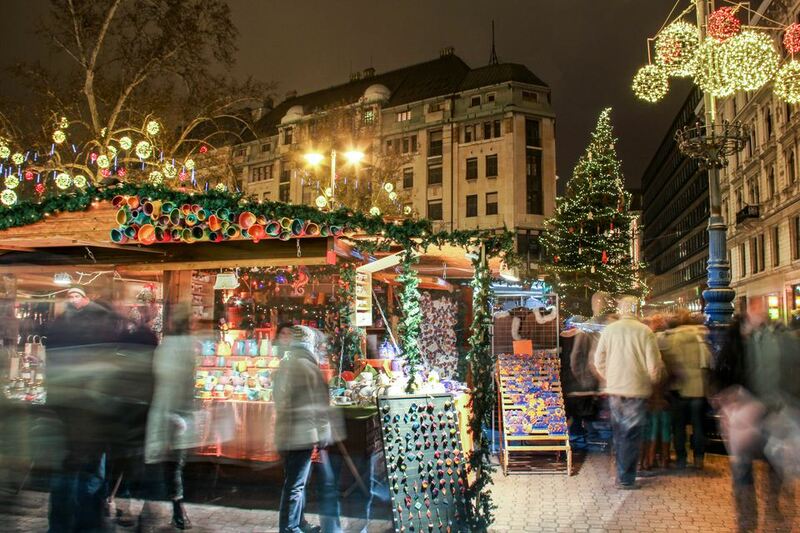 Christmas in Hungary is celebrated on December 25 and sometimes preceded by the observance of the Advent, but no matter how you are celebrating your Hungarian Christmas this holiday seasons, there's plenty in store for travelers during this festive time of year. Budapest's Christmas Market is already in full swing during the beginning of December, so if you're in Hungary's capital city during this time of year, the Christmas market is an excellent place to find traditional gifts and sample seasonal Hungarian foods, but if you happen to be in one of Hungary's many smaller towns and villages, there's likely to be a central Christmas tree and some seasonal events no matter where you go. However, before you travel to Hungary for Christmas, you'll want to know more about the traditions and customs associated with this winter holiday. Read on to discover more about the traditions of gift giving and Christmas feasting in Hungary so you can better plan your next Christmas vacation to this European country. Hungarian children receive gifts twice during the Christmas season. The first opportunity for gift-giving is on December 6, the Day of St. Nicholas ( Mikulas), when children receive small presents like candy or small toys in shoes that have been placed on the windowsill the night before. As a reminder to be good, some children will receive switches or branches from trees in their shoes alongside the other small gifts. Mikulas sometimes appears in the flesh to groups of children, and Mikulas may wear the more traditional bishop's clothing and be accompanied by helpers representing good and mischief (or sometimes only mischief), but Mikulas serves a similar purpose as the Western Santa Claus in that he keeps track of the good and bad deeds of children all over the world. The second opportunity for gift giving comes on Christmas Eve when the Christmas tree is set up and decorated, and gifts are placed underneath, but children are not allowed to enter the room the tree is in until given permission by their parents, which is sometimes marked by the ringing of a bell when children are told that angels or Baby Jesus brought the tree and the gifts for them. If you're looking for Christmas gifts from Hungary, consider wine or spirits, dolls dressed in Hungarian folk costumes, embroidered linens, or even paprika, the Hungarian national spice. Besides the Christmas market, the Great Market Hall is an excellent source for gifts for friends and family. The Hungarian Christmas meal features typical dishes that many families serve, just as generations did before them. While some may serve a fish dish, such as fish soup, as the main component of the meal, chicken or pork are also commonly served as the entree for Christmas feasts. In any case, the main dish is accompanied by side dishes such as stuffed cabbage, poppy seed rolls, and other pastries that finish off the meal, and Hungarians' favorite candy, the szaloncukor, which also decorates the Christmas tree, is in plentiful supply for dessert and Hungarian wine and spirits are also present at the holiday table. Christmas Eve marks the first real day of Christmas in Hungary when the tree is put up and decorated in a variety of ways including with glass ornaments, ornaments embroidered with traditional designs or other hand-made decorations. The next two days are spent with family and relatives and involve traditional foods cooked especially for the holiday. What Are Some Traditional Hungarian Foods?